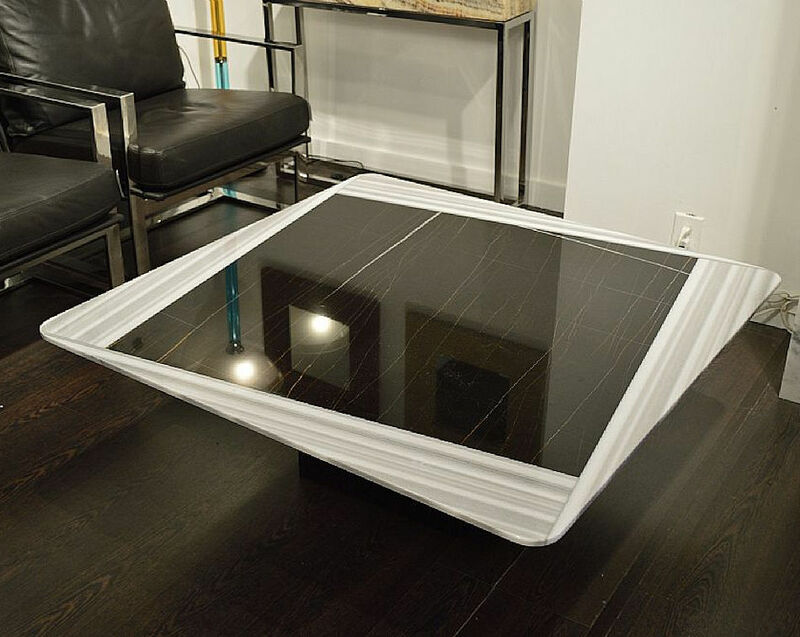 Shutter table with marble top in two colors of center and edges and marble base. 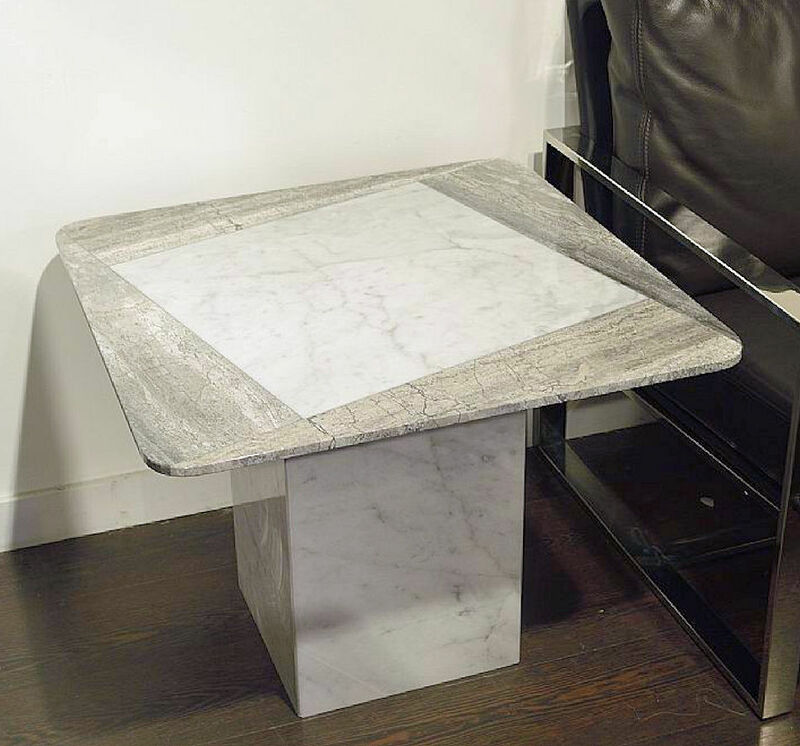 $ 1,150 - #3335 lamp table w/ top in White marble with Stripes Grey marble edges and White marble base. Dimensions: 27" x 27" x 21"H. Can be ordered in any stone. 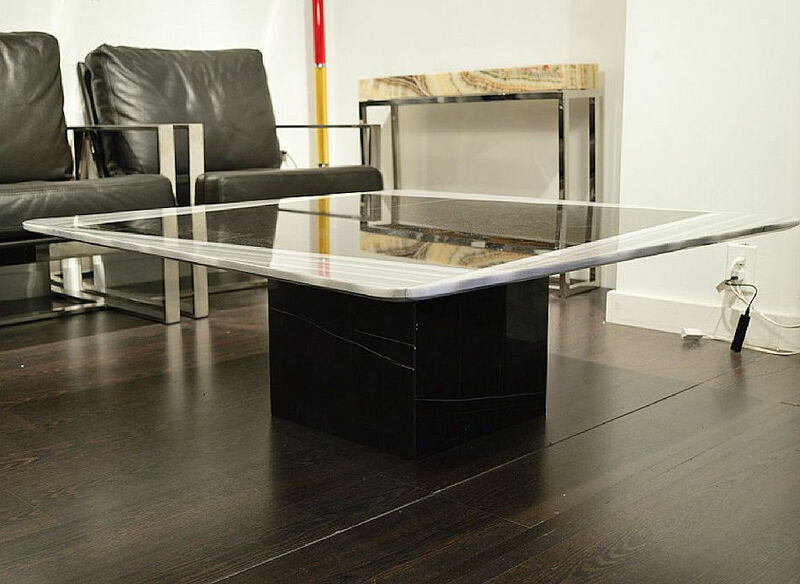 $ 2,450 - #3333 cocktail table w/ top in Sahara Noir marble with Midnight Grey marble edges and Sahara Noir marble base. Dimensions: 47" x 47" x 16"H. Can be ordered in any stone. Shutter cocktail table top in Sahara Noir marble with Midnight Grey marble edges.